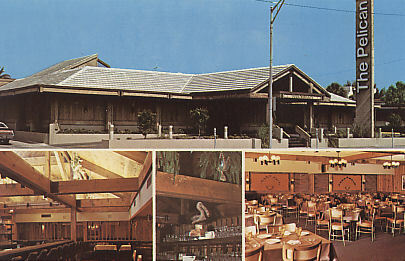 "The Pelican - Restaurant = Clearwater Beach, Florida - C 1980 "
(1857) POSTCARD: The Pelican - Restaurant = Clearwater Beach, Florida - C 1980 - Condition: Very Good. - Not Posted. Pictures are of exterior and interior views. Price: $2.50 + shipping.